-- Made to Order -- All the skirts pictured here are sold, each one comes out unique - they are examples only. Allow least 1-2 weeks for yours to be made. Choose the features of your skirt at checkout, and feel free to contact us with any additional preferences. 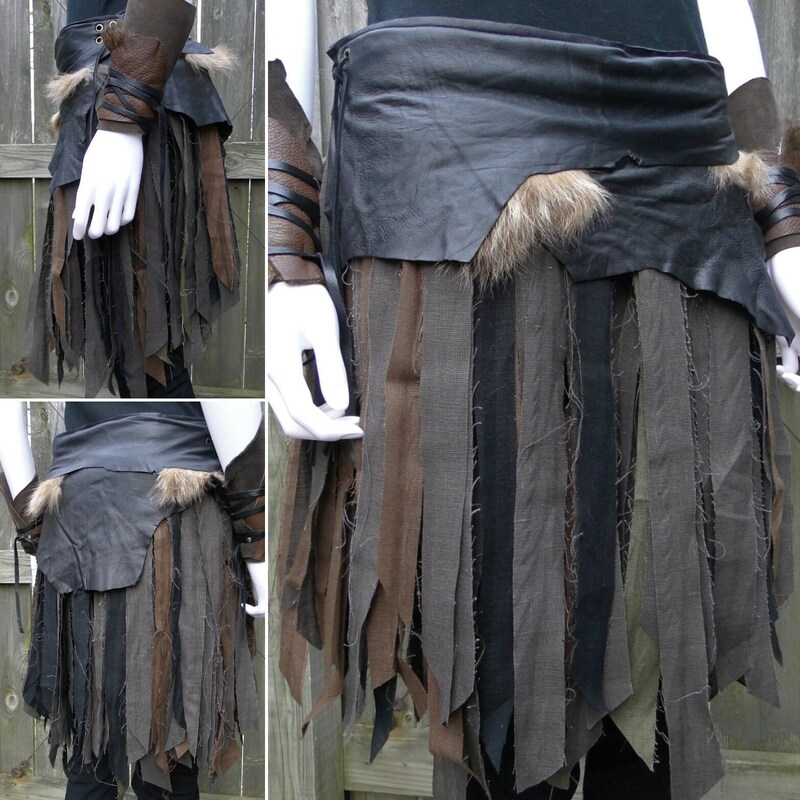 Unique one-of-a-kind battle skirts! 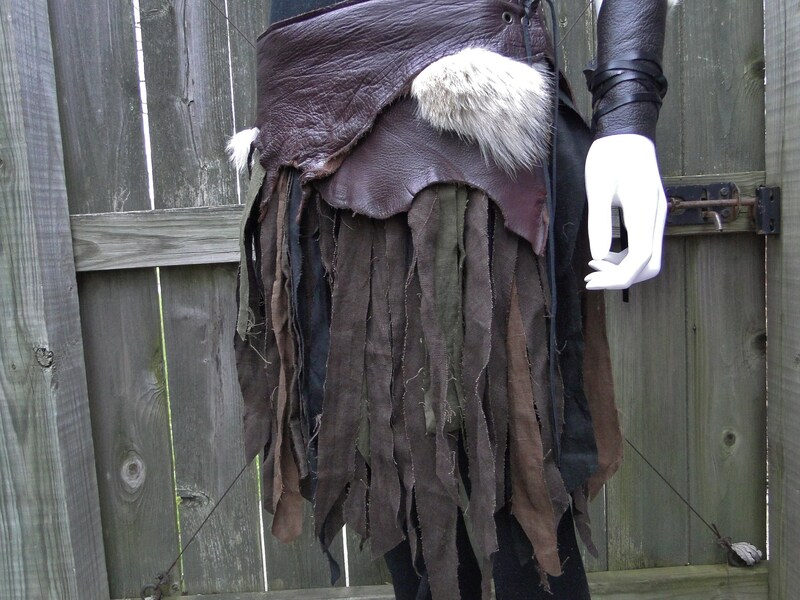 Made with layers of soft leather, natural linens & fur accents (optional). 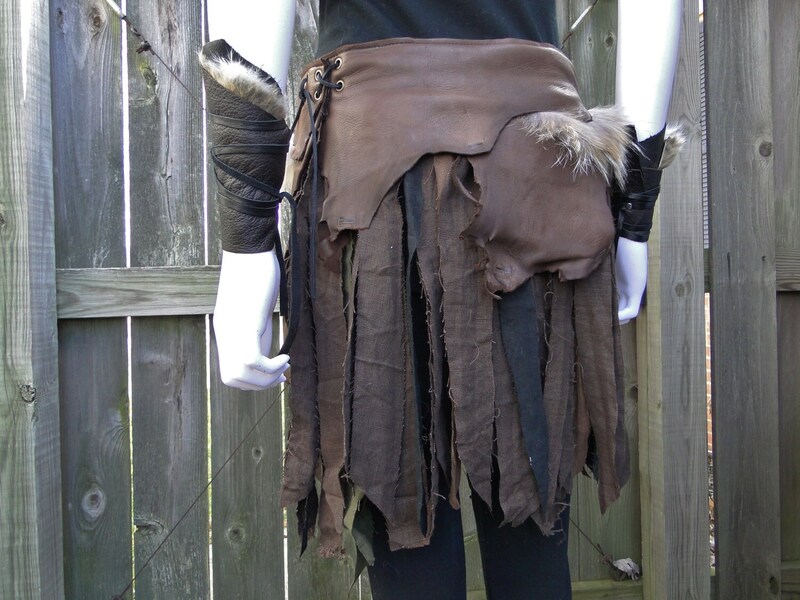 Adds great detail to the outfit of any warrior or Viking. 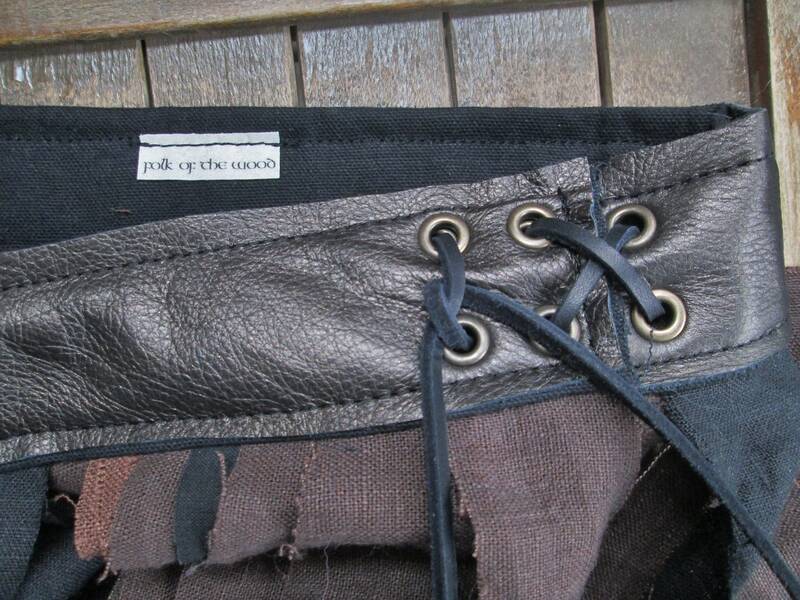 Made with 100% linen fabrics, in a mix of muted colors ranging from black, dark browns, reddish browns & olive greens. 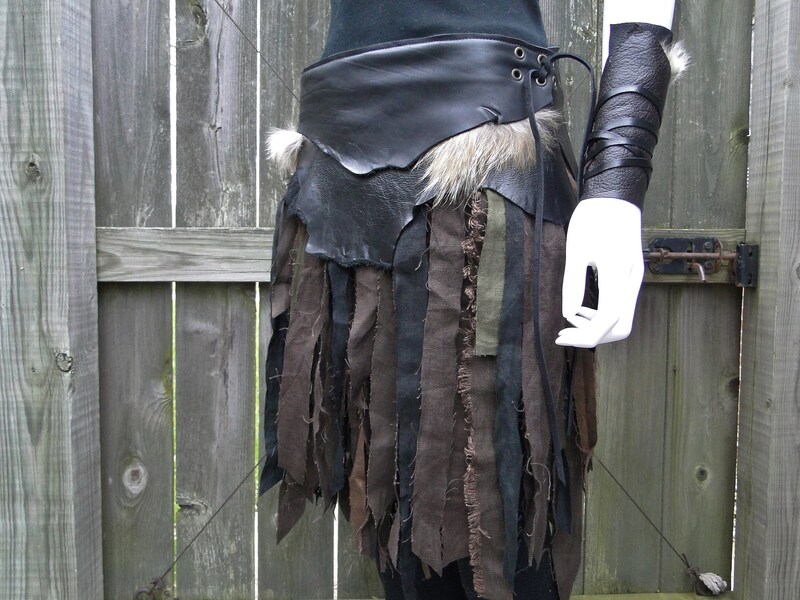 Very organic/ragged look, lots of fraying edges. 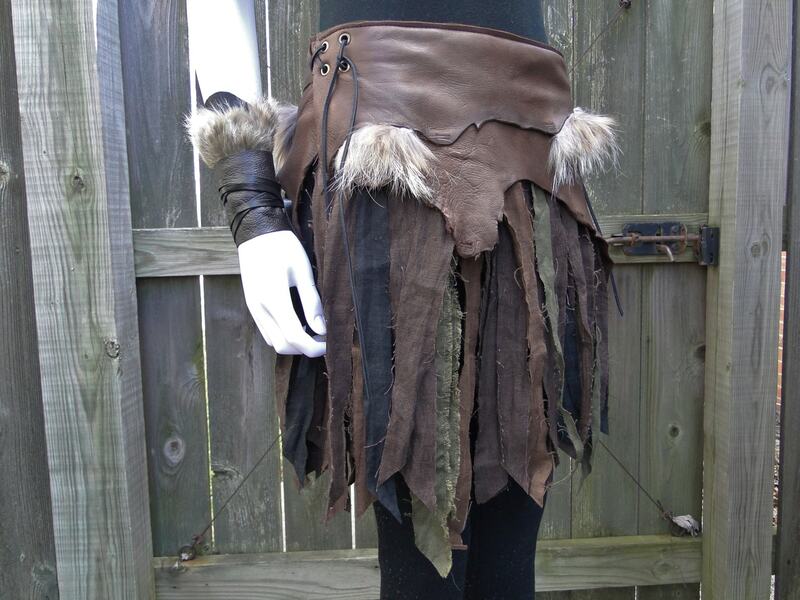 Soft leather with lots of natural edges & fur details give these skirts a rugged and wild look. 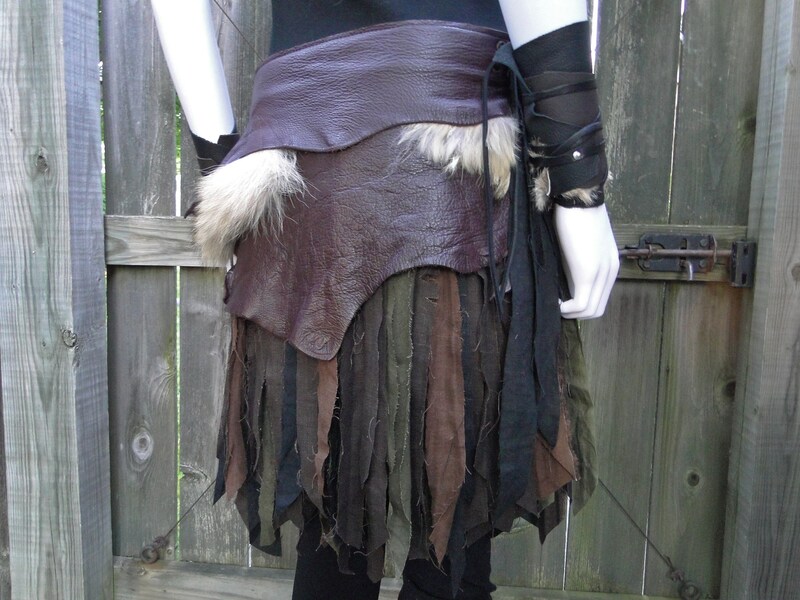 Made to last, with a sturdy leather waistband, easily adjustable on the sides with leather lace through metal grommets (last picture shows example). Approx. knee length.